CIRCA 1967 - Titan III's core vehicle is inspected and transported to Cape Kennedy's Solid Motor Assembly Building. sd01:491940s - The basic workings of gasoline in car engines is discussed in this 1948 film. hd00:17Arthritis. The doctor is considering an x-ray. Makes records in the medical journal. Affected bones and joints. Close up shot. HD video. hd01:21CIRCA 1982 - A space shuttle crew work eat, exercise, and shave during a mission, and engineers in a control room laugh. 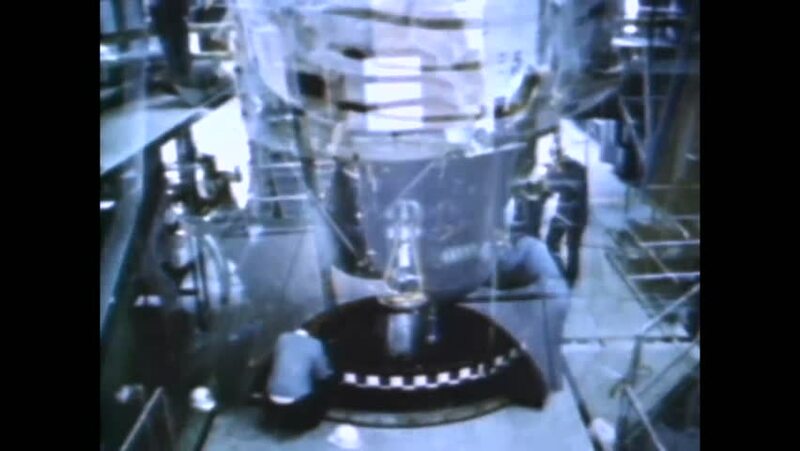 hd00:46CIRCA 1960s - Numerically controlled machines insert components into printed circuit boards in an industrial plant, in 1963.
hd00:54CIRCA 1960s - Electron beam welding and electrolytic machining is shown in an industrial plant, in 1963.
hd01:33CIRCA - 1968 - Specialists at the Natick Laboratories dye and test the endurance of fabrics used for U.S. Army uniforms. sd00:03futuristic video montages of urban cities.